Anderson Jones, PLLC is an award-winning, full-service law firm located in Raleigh, N.C. serving North Carolina and South Carolina. Concentrating in the areas of construction law, construction litigation, lien and bond claims, contracts, administrative law, workers’ compensation defense, real estate, employment law, OSHA defense, estate planning, estate administration and settlement, and general commercial litigation, Anderson Jones represents local and national clients in both state and federal courts. Built on the core principles of solid values, integrity in billing, aggressive pursuit of business solutions, efficiency through technology and tenacious representation, Anderson Jones’ attorneys lend leadership, expertise and professionalism in legal matters to always achieve the best attainable results for clients. 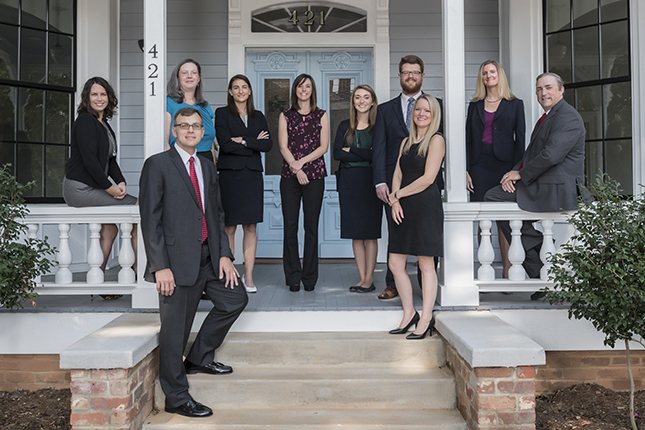 At Anderson Jones, PLLC, we take a personable and genuine approach to our award-winning suite of legal services for clients throughout North and South Carolina. We remain committed to helping clients navigate complex legal issues and serving as legal experts and responsible corporate citizens in the communities in which we serve.